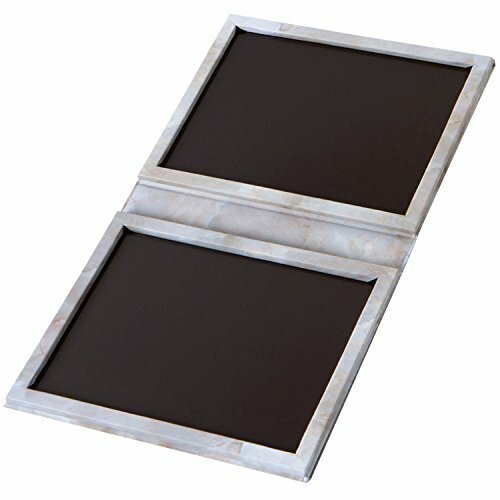 This empty magnetic marble palette comes with a build in mirror and is made of heavy duty cardboard. There is a divider on each side to avoid makeup messes. It is designed to hold 70 standard sized eyeshadows in magnetizing metal pans. Complimentary metal stickers are included for products which are not attracted to magnets. Consolidate and organize your products in a single large attractive palette! Double sided design folds up into a smaller palette. No makeup mess with one side equipped with a mirror that doubles as a divider and the other with its own divider. If you have any questions about this product by Adept Cosmetics, contact us by completing and submitting the form below. If you are looking for a specif part number, please include it with your message.